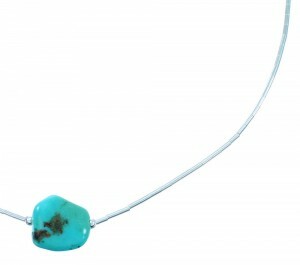 This is a very gorgeous necklace that would make a great gift! 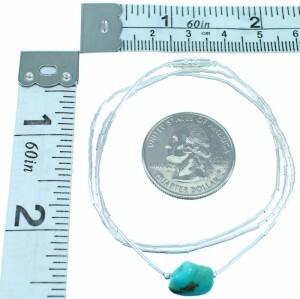 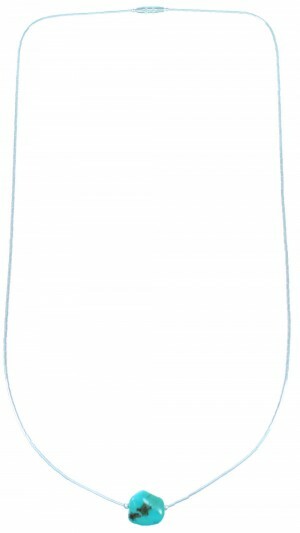 The necklace is hand strung out of genuine sterling silver and a real Turquoise bead. 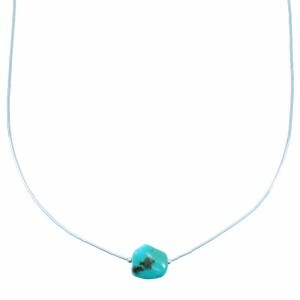 The necklace consists of a remarkable combination of: Liquid silver, 2-mm silver round beads, and a 10-mm Turquoise free formed bead for a delightful finish.